by Pete Hodgson, Udo Wahn M.D. Contact Author - Pete Hodgson, Udo Wahn M.D. Dr. Udo Wahn is a Del Mar, CA surfer and environmental activist serving as a core volunteer for Surfrider Foundation. He semi-retired from his practice of Ob-Gyn in 2008 to spend more time with his young son Paolo “Cabo” and his wife Aleida. He has penned 5 children’s books. Cabo and Coral Go Surfing! The aloha spirit permeates through all of his books in the Cabo and Coral series of kids books for the ocean minded child. 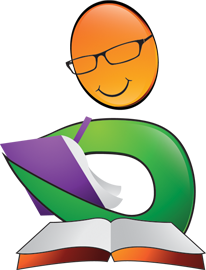 All the books are of an educational and inspirational nature and can be read in any order. His books have been featured in Surfing Magazine, The Surfer’s Journal, and Surfrider’s Making Waves. 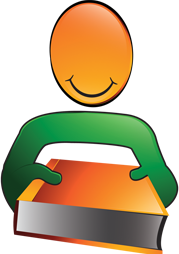 His books have been endorsed by the likes of, Artist and ocean conservationist Wyland, World champion surfer and International Surfing Hall of Fame, Linda Benson, World Longboard champion, Taylor Jensen, World champion standup paddler Candice Appleby and legendary World champion surfer, Shaun Tomson. 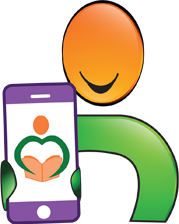 Dr. Wahn donates partial proceeds from all of his books to non-profits such as Surfrider Foundation, The Helen Woodward Animal Center, Heal the Bay, the Rob Machado Foundation and the Ocean Institute. 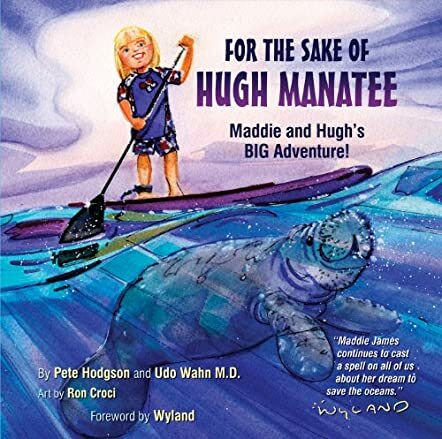 For the Sake of Hugh the Manatee: Maddie and Hugh's Big Adventure is written by Pete Hodgson and Udo Wahn M.D. with artwork by Ron Croci. 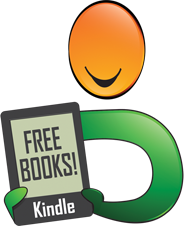 It is a creative and unique piece, written with imaginative characters and plot but conveys the reality of truth in the message. This is a story of adventure, excitement, and caring for humanity and the earth. Maddie lives by a river and the sea and goes to school at a seaside learning center. When school is over, she goes down to the water in search of her favorite friend Hugh, who is a manatee. Hugh is not feeling himself so he and Maddie set out on an adventure back to the salt water of the ocean, hoping to find a cure for Hugh and what ails him. Using her Standup board, Maddie ventures with Hugh through the fresh water river to the ocean, only to find along the way that the once clear water has been polluted. With help from the other sea creatures, family, and friends, Maddie sets a goal to help clean up the ocean and the river environment so her sea and river friends can live in a healthy environment. Pete Hodgson and Udo Wahn have done a fantastic job. The book pages themselves are beautifully laid out and displayed with colorful, vibrant pictures for children and adults of all ages to enjoy. This book is absolutely a treasured learning resource. The importance of the message within its pages is a great one; keep the water environments clean and safe for all who live in and around them. Thank you very much for the outstanding review. It was my honor to contribute to this outstanding piece of children’s literature. -Linda Benson – World Champion, 5 x US Champion, International Surfing Hall of Fame. -Wyland- Artist and Ocean conservationist. -Candice Appleby – World Champion Standup Paddler, and Pipeline Women’s Longboard Champion. - Taylor Jensen – 2x ASP World Longboard Champion. -Chris Dixon - Author of Ghost Wave. Named the #1 adventure book by Chronicle books. - Kimball Taylor -Editor Surfer magazine.